Opponents of the construction of a mosque near ground zero were dealt a serious setback yesterday when the project received its final approvals from New York City. As a consolation prize, we offer these pro-American forces photos of the 45 Park Place site back before 9/11 and the onset of Islamofascism. Back when the streets of lower Manhattan were lined with cobblestones and big sedans, not shifty guys who pray to Mecca. 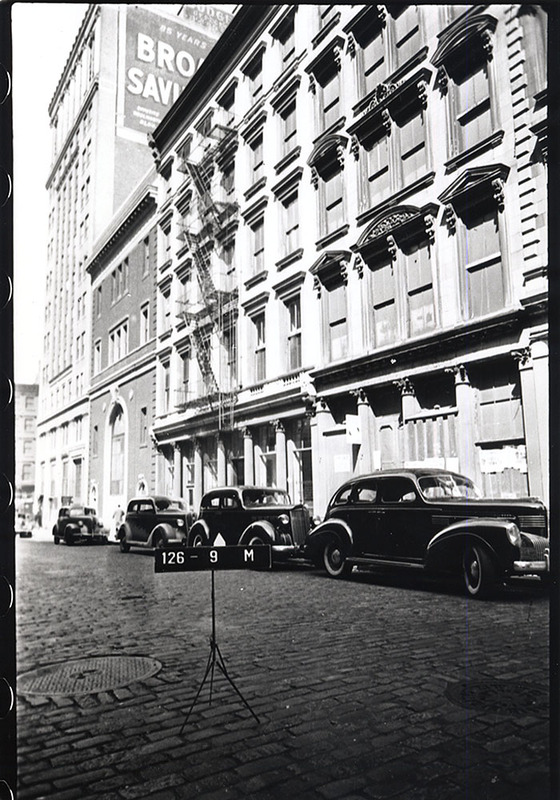 The black and white image (click to enlarge) was taken between 1939-1941, when every building in the city was photographed as part of a tax appraisal program. The mosque site is at left, with its distinctive arched entryway. The color photo (click to enlarge) was taken during a mid-1980s city appraisal initiative. 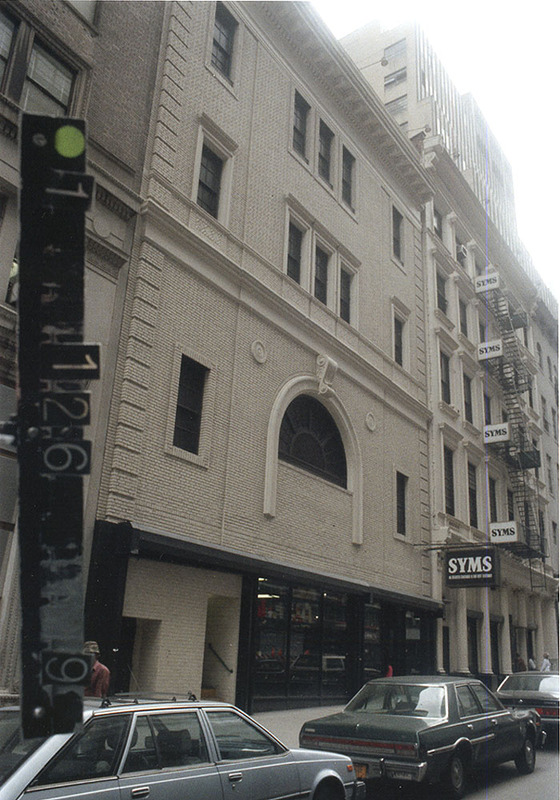 At the time, the Park Place building (known as Block 126, Lot 9 in municipal records) was inhabited by the clothing retailer Syms, the mecca of discount brand-name threads. Submitted by Paul Kemp on Sun, 2010-08-08 11:51. TSG's sarcasm is often unfortunately overlooked. Submitted by donaldawbrey on Thu, 2010-08-05 11:15. Gee, this will go over real smooth. Like a KKK rally in Washington D.C. Could this be misconstruded as a little insensative, maybe....................... Here is more Islamists giving Islamist a bad name. Come on guys, I am sure you can find another place to build a Mosquito, Mosque, or whatever you call it.